$1000 Bucks for a carbon bike, Because the innovative Company of Nashbars Designers are coming through here. The Nashbar Carbon Road Bike is featured as, all carbon monocoque bike that’s as big on performance as it is on the value of its self. For starters, it’s got a frame that tips the scales at only 1050 grams. It’s also got a carbon fork, 20-speed Shimano Tiagra/105 drivetrain with a compact crankset, dual-pivot brakes and Shimano R500 wheels. We’re talking great spec’s for the price point. Definitely a Considerable bike for the Cost, and Performance. 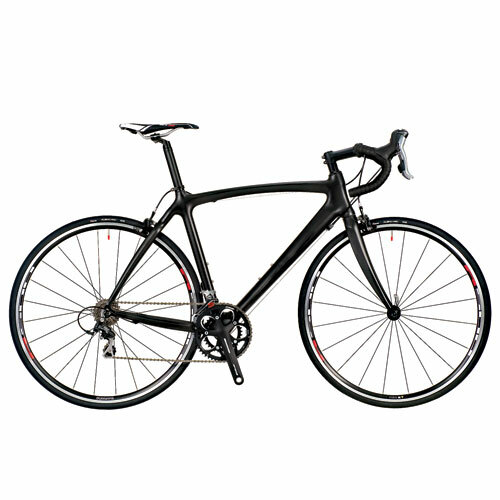 Possibility #1 for a Road Bike, Off to a good Start here!